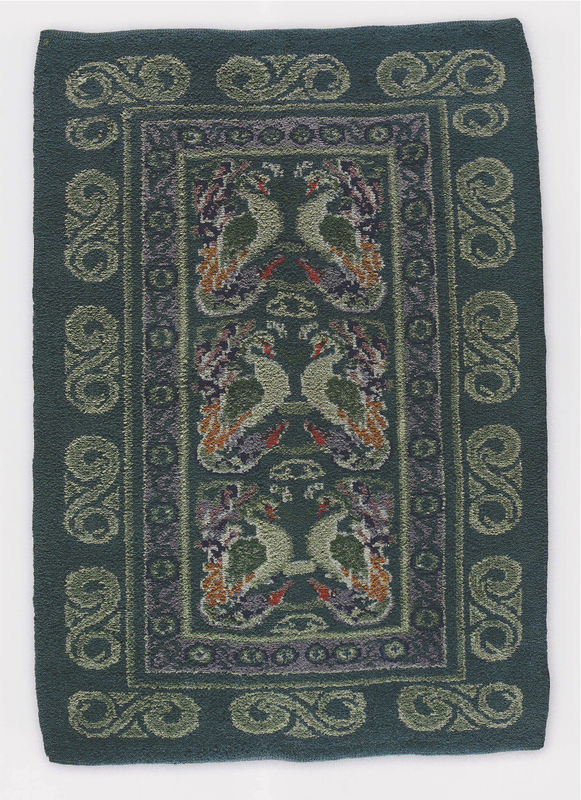 Sharon has been saving and storing rug images for a while now and she thought it was time to share some of them. 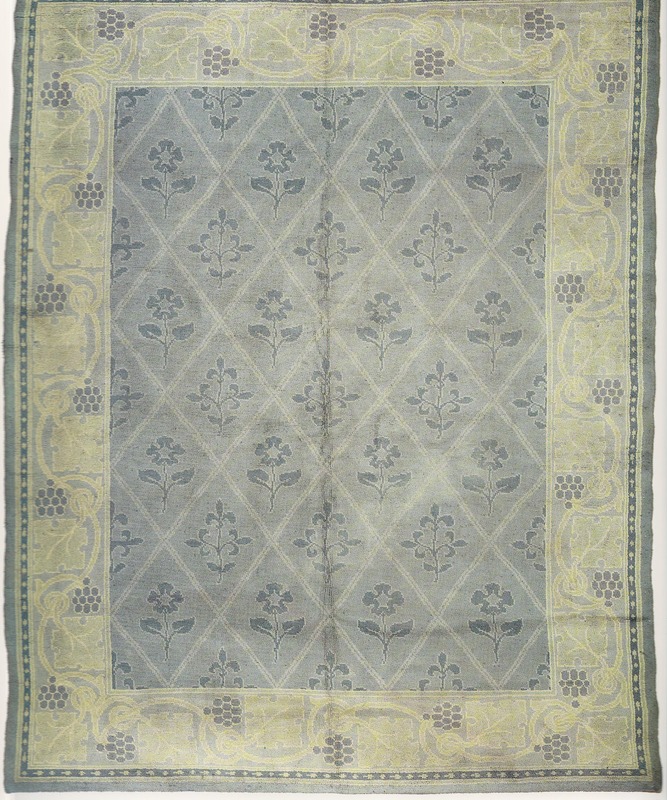 Again, excuse this post if you have no interest in period research. 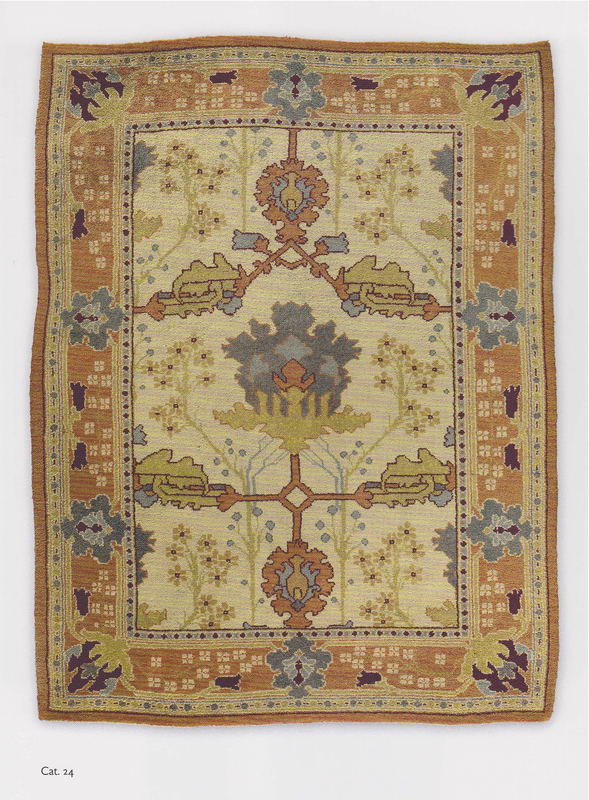 There are lots of great opportunities out there to get less-expensive rugs in an appropriate style, if you're familiar with what rugs looked like back in the early-1900s. Like today, they actually had a large diversity in styles. 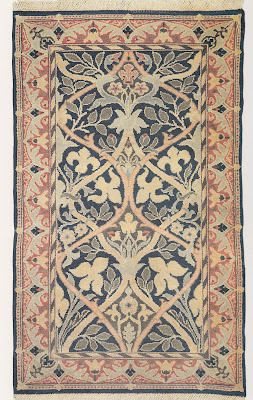 Arts and Crafts Rugs for Craftsman Interiors by Linda Parry and David Cathers published in 2010 (0-39373-320-4). 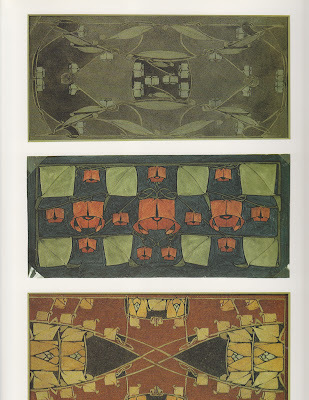 Here are some of Sharon's favorites from those two books. 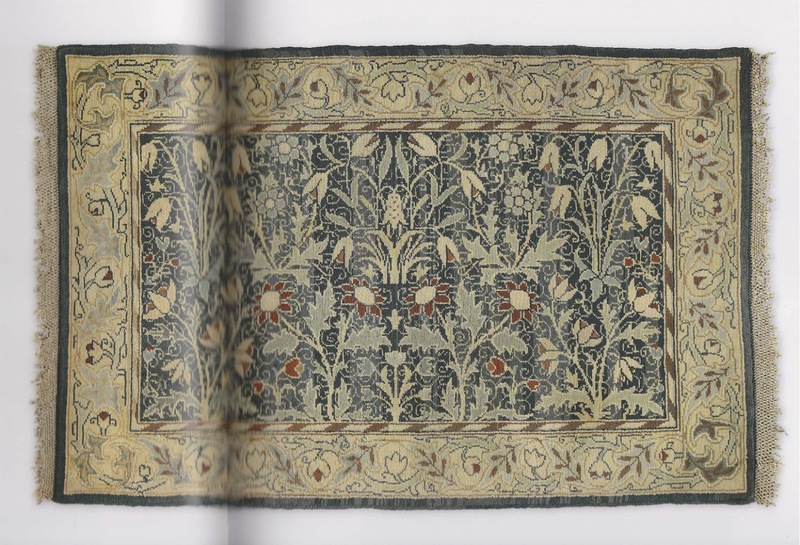 From Arts & Crafts Carpets, page 132. 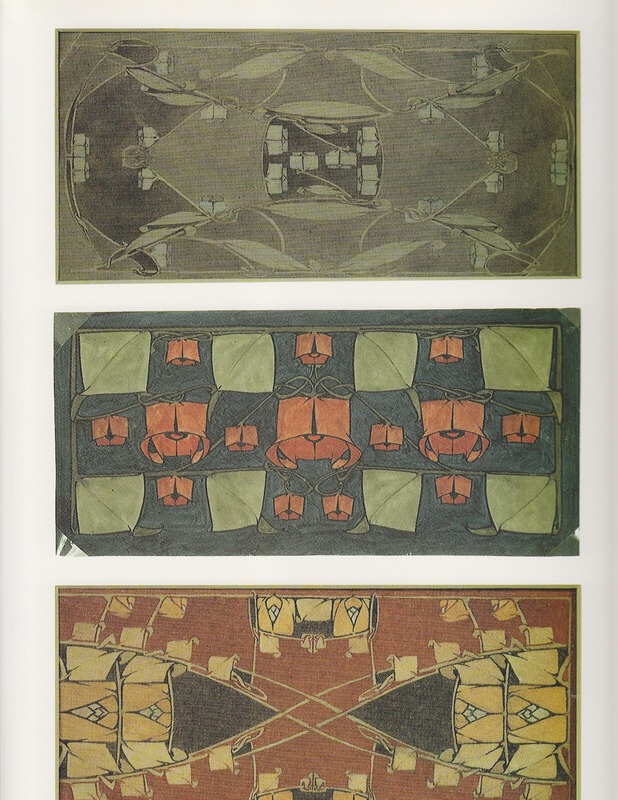 These designs date from 1904. 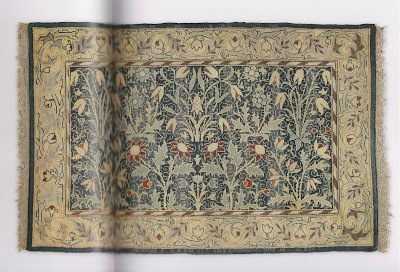 From Arts & Crafts Carpets, page 131. This design is from 1903 and is based on the Book of Kells. 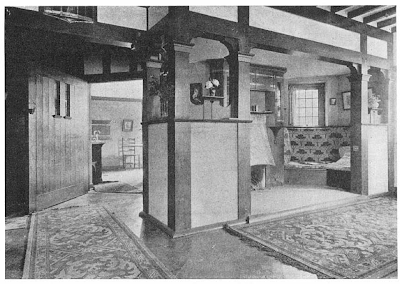 From Arts & Crafts Carpets, page125. 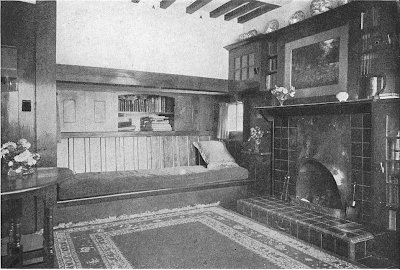 It was designed by Voysey. 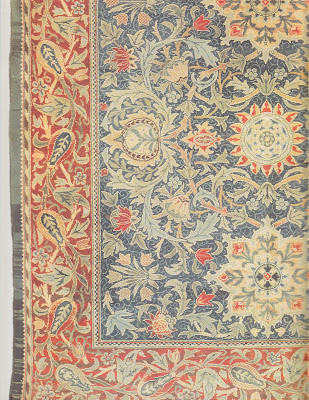 From Arts & Crafts Carpets, page 123. 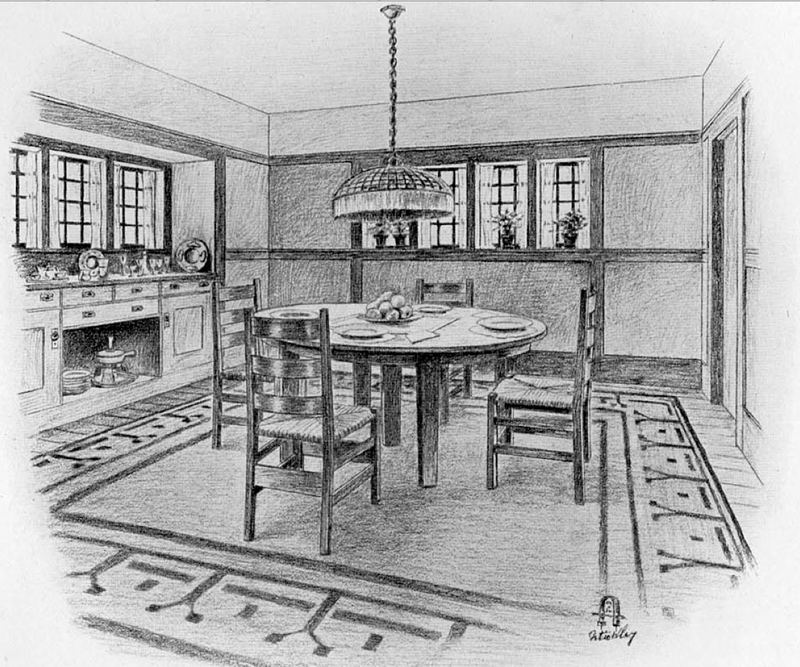 It was designed by Voysey. 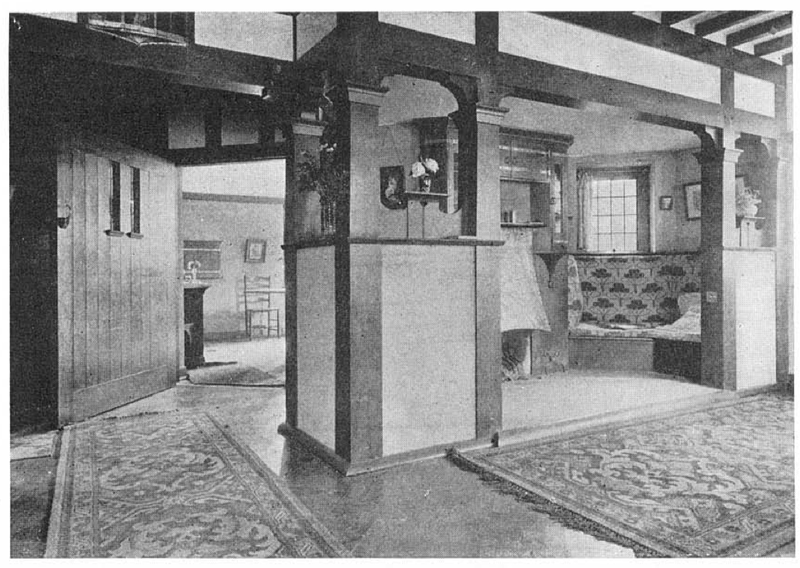 From Arts & Crafts Carpets, page 121. 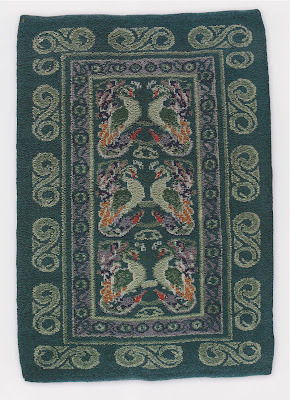 It's a "Fintona" donegal rug which dates from 1902. From Arts & Crafts Carpets, page 114. 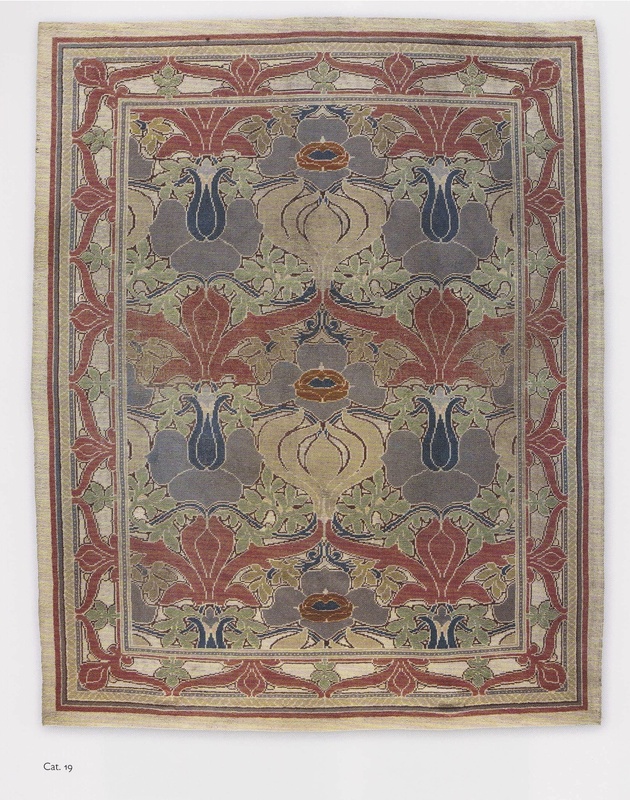 It's the "Lisburn" donegal rug designed by Voysey. 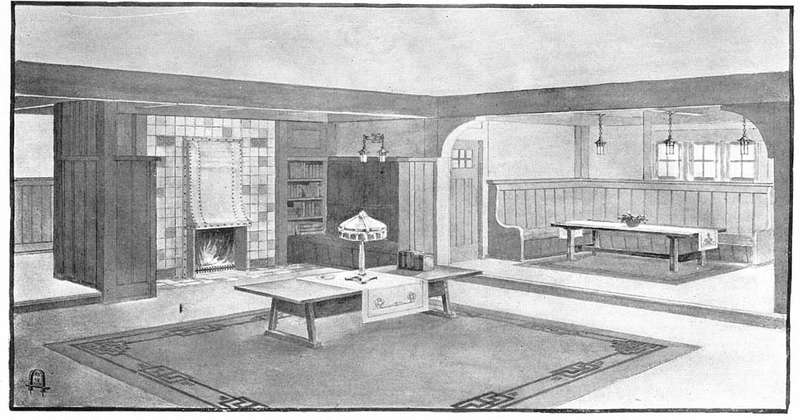 From Arts & Crafts Carpets, page 106. 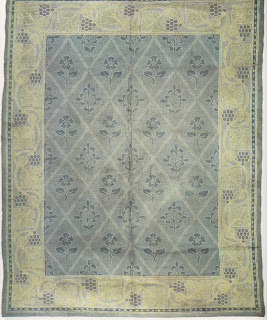 It's a donegal rug designed by Morton in 1899. 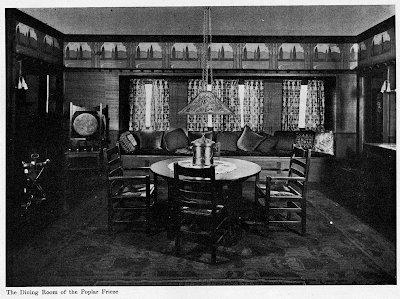 From Arts & Crafts Carpets, page 71. 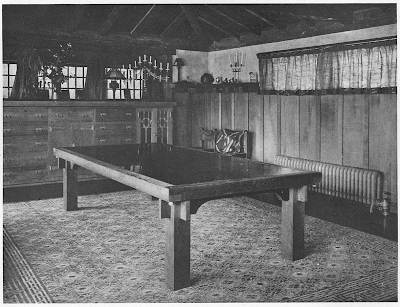 From Arts & Crafts Carpets, page 55. 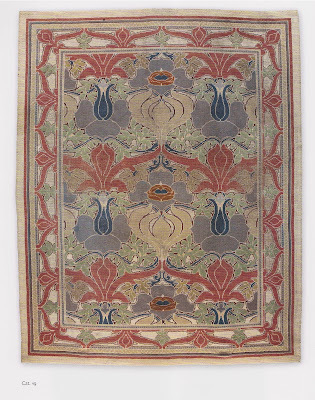 It's the "Hammersmith" designed by William Morris. 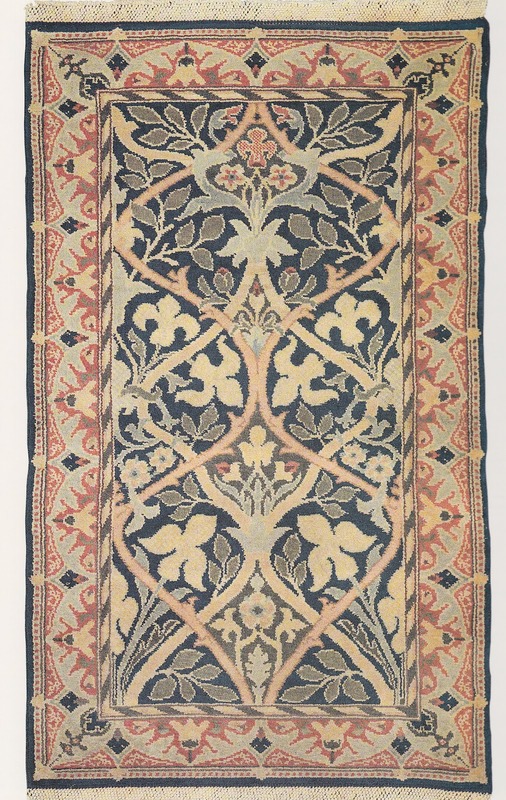 From Arts & Crafts Rugs, page 98. 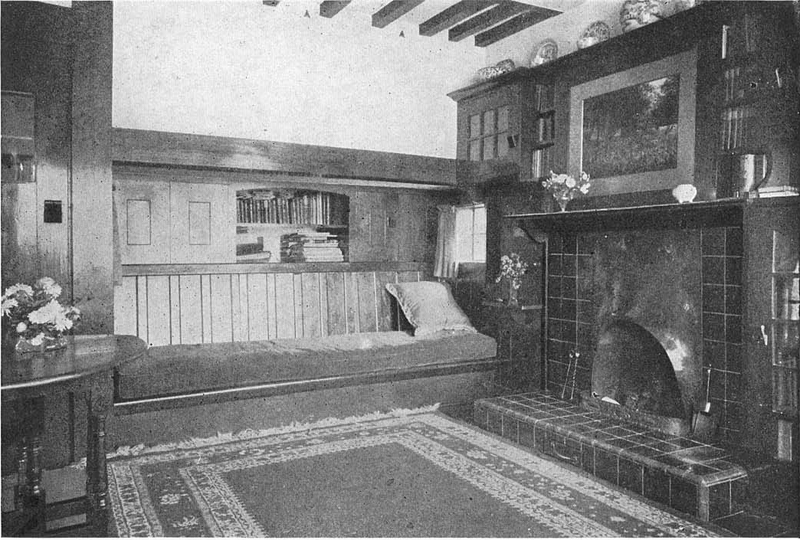 It was designed by Elevyn Gleeson in 1912. 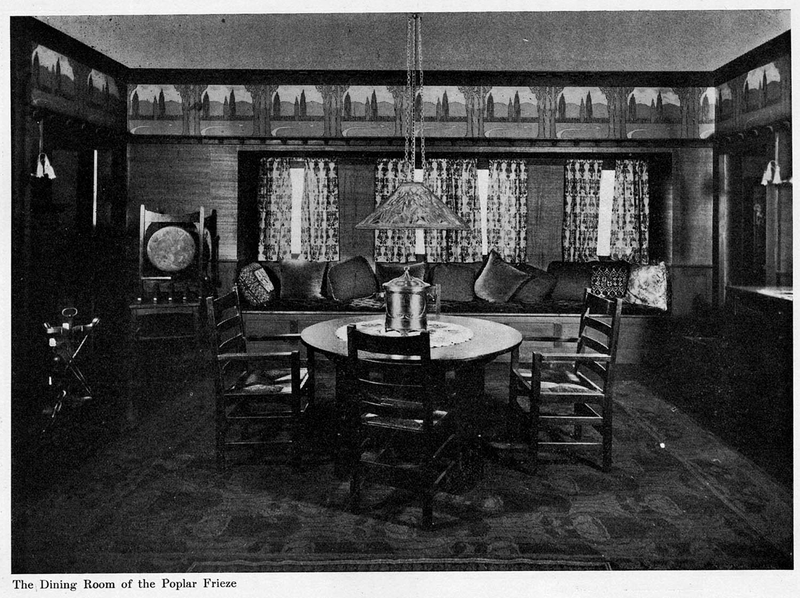 From Arts & Crafts Rugs, page 79. 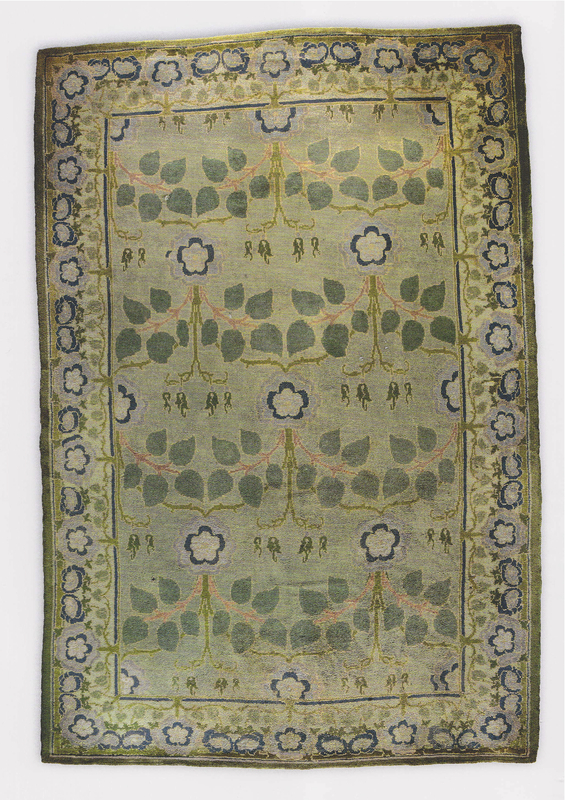 It's a donegal rug designed by Morton in 1899. From Arts & Crafts Rugs, page 67. 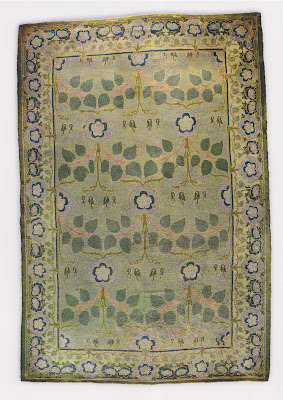 It's "The Rose" designed by William Morris in 1897. 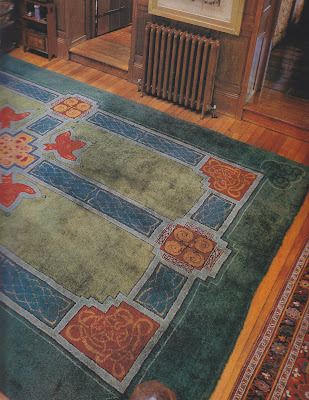 From Arts & Crafts Rugs, page 64. 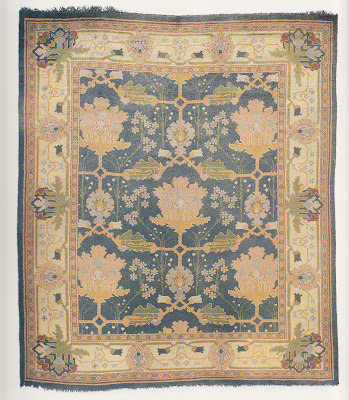 It's "Donemana" designed by William Morris in 1898. 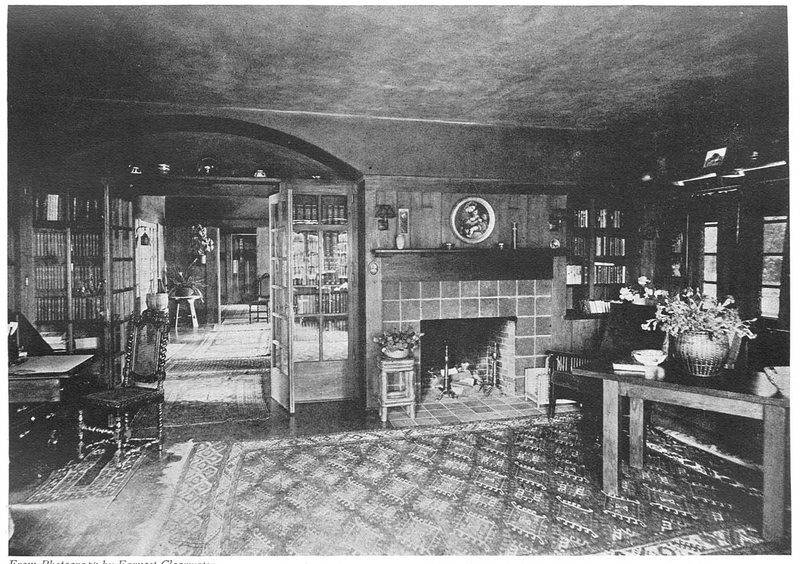 From Arts & Crafts Rugs, page 42-43. 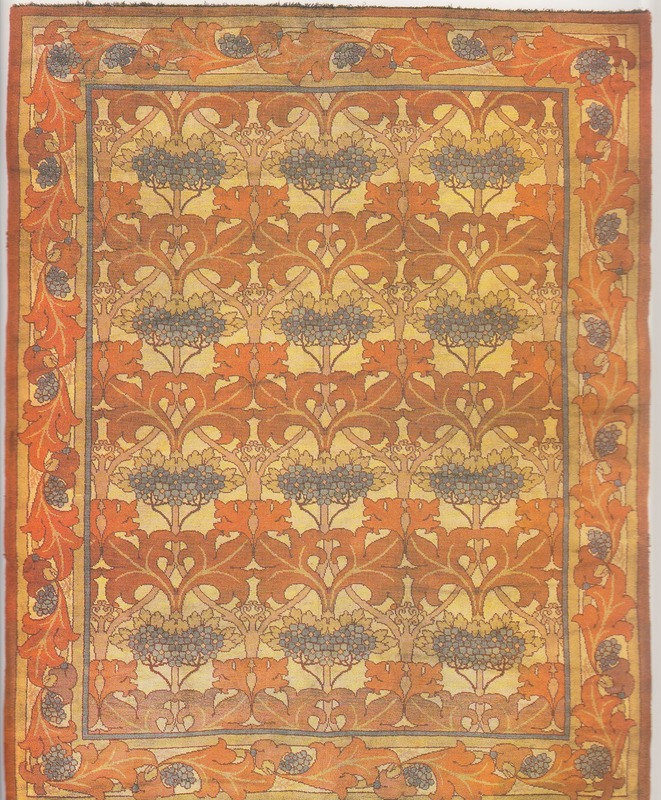 It's "Flowery Field" designed by William Morris in 1885. 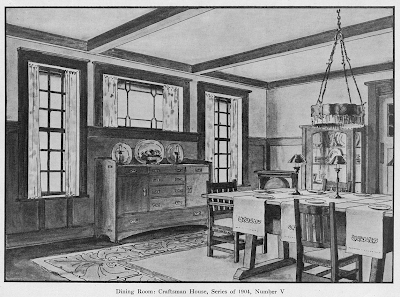 There are also a number of period sources, but they are mostly black and white. 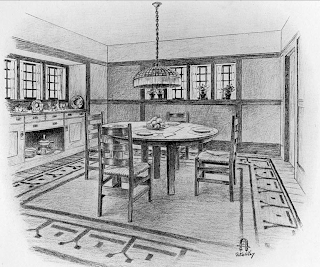 There are lots of rug drawings and pictures in the Craftsman Magazine. 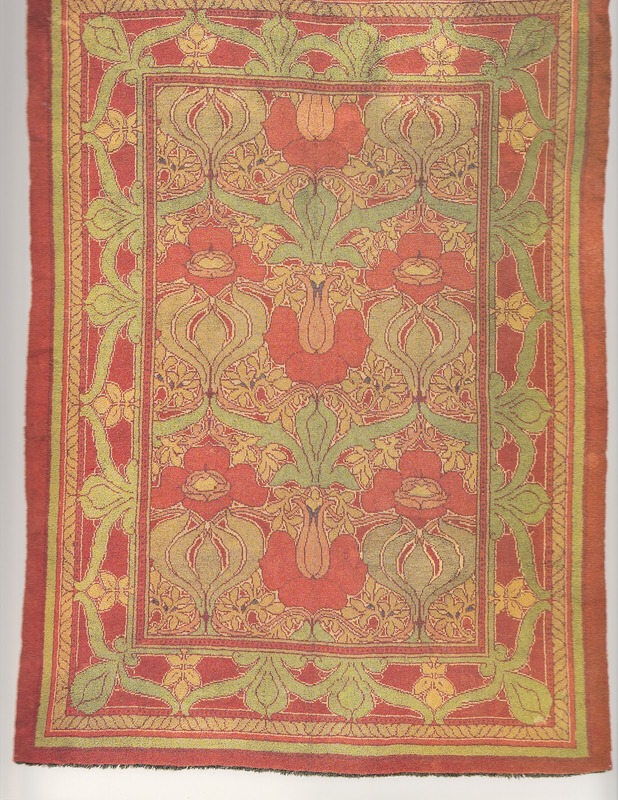 Here are a few of the best ones. 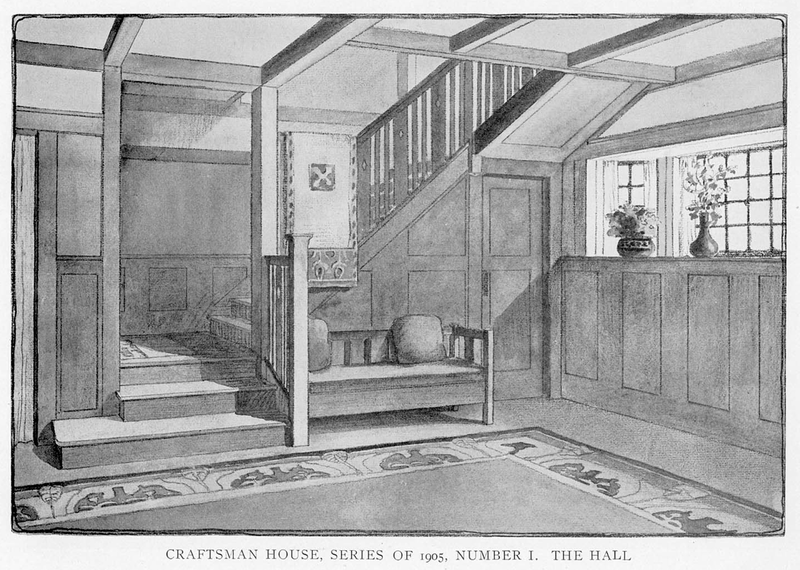 From Craftsman Magazine, Jan 1905 issue. 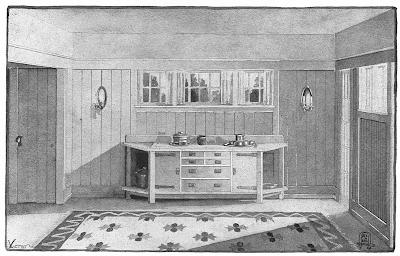 From Craftsman Magazine, April 1905 issue. 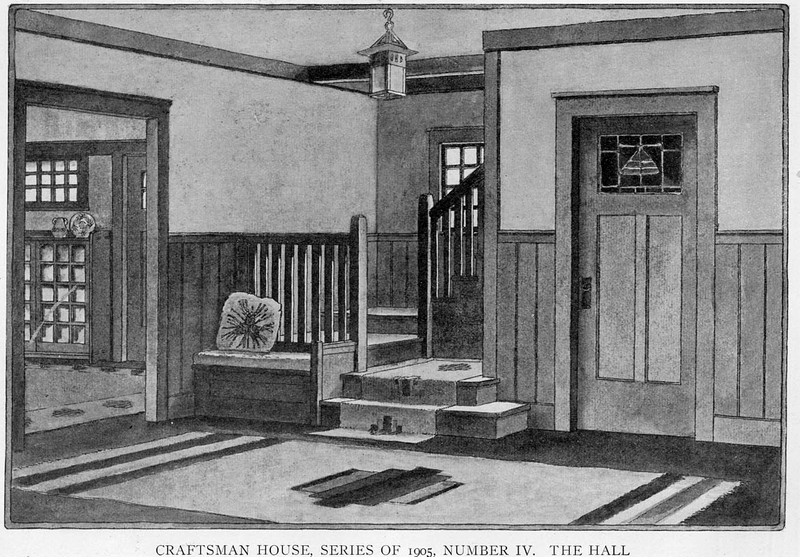 From Craftsman Magazine, Jan 1906 issue. From Craftsman Magazine, Aug 1910 issue. From Craftsman Magazine, May 1904 issue. From Craftsman Magazine, June 1904 issue. From Craftsman Magazine, Nov 1906 issue. From Craftsman Magazine, July 1910 issue. 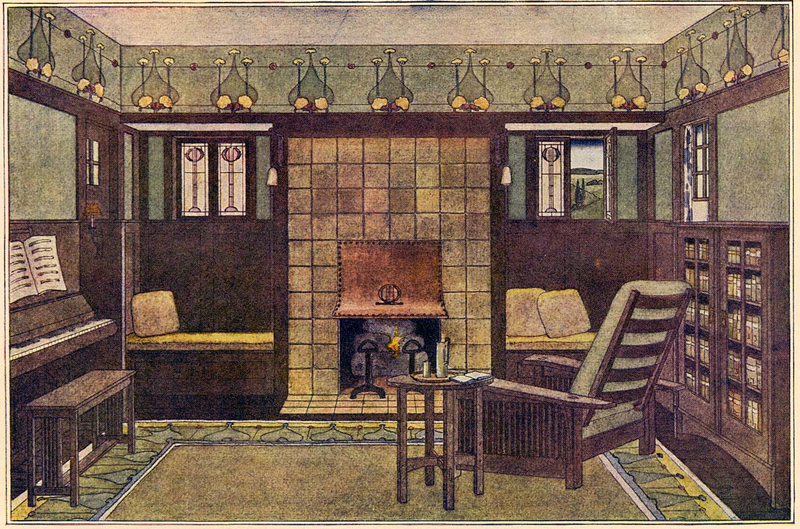 From Craftsman Magazine, March 1911 issue. From Craftsman Magazine, Dec 1910 issue. 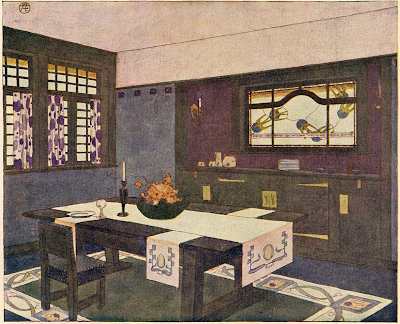 From Craftsman Magazine, Jan 1910 issue. 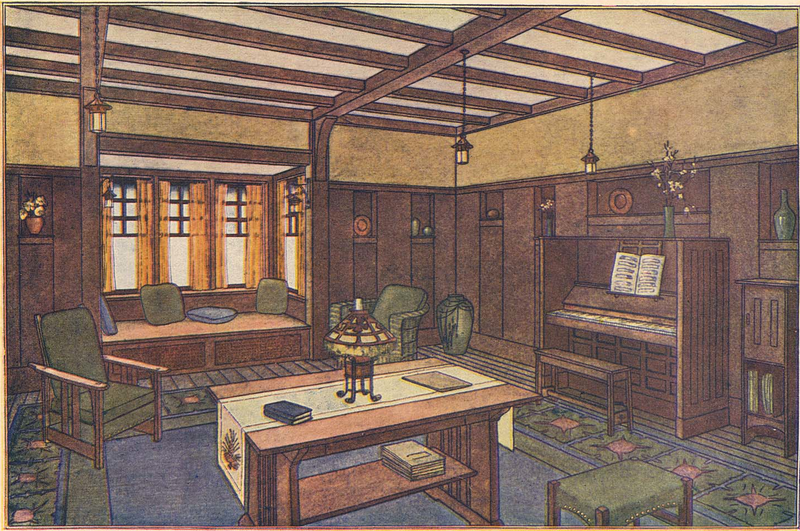 Finally, here are three color images from a Stickley Craftsman Homes catalog, published in 1909. 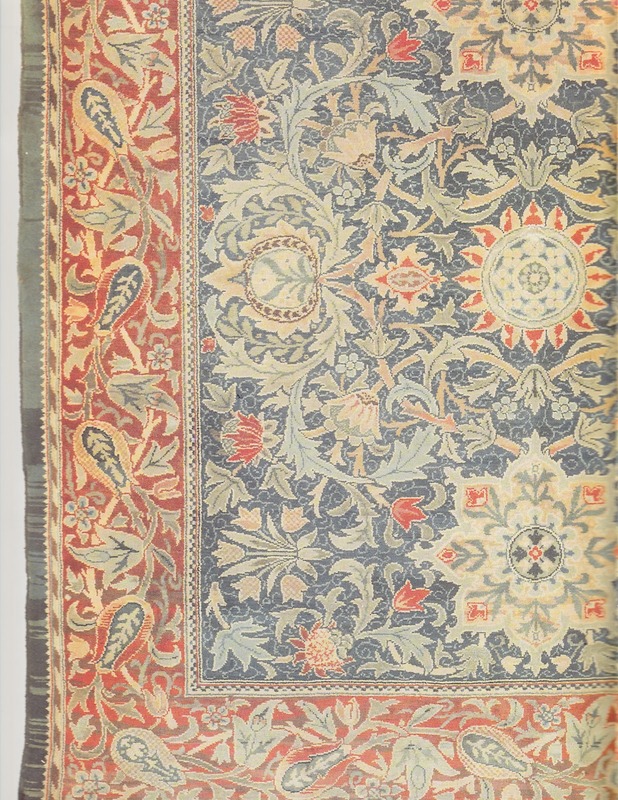 The catalog is available from Internet Archive for download here. 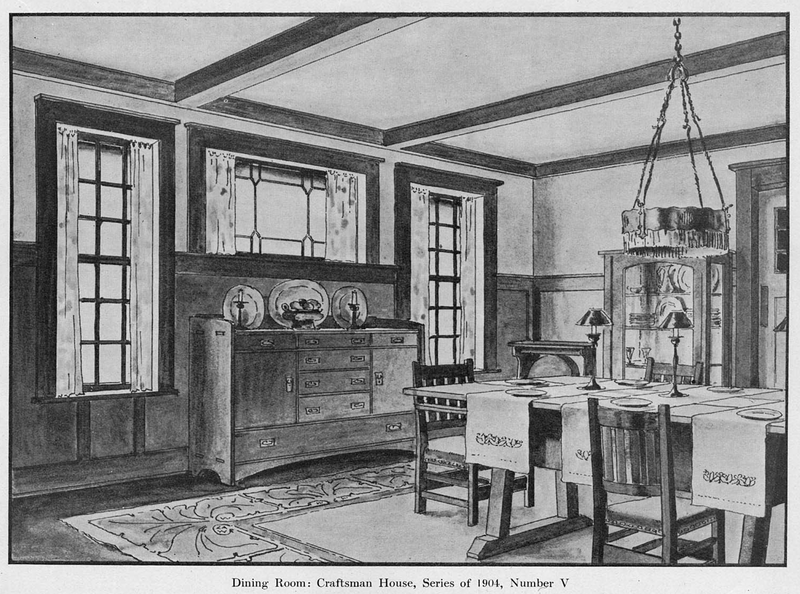 From Stickley's Craftman Home Catalog, dated 1909. Love the eye candy. 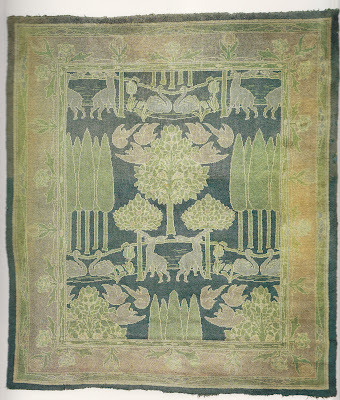 Those are just beautiful. 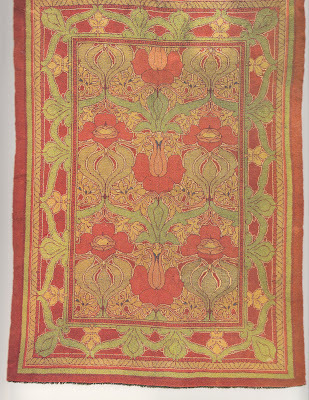 My favorites include the middle one of the trio at the top of the post (is that a rose motif? 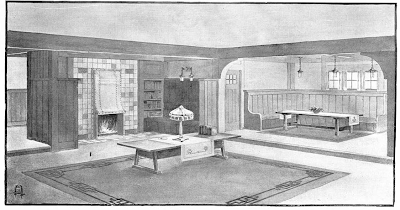 ), the Morris design, and the pinkish Voysey rug. As someone who works with antiquarian books, I'm also gaga over the rug based on The Book of Kells!